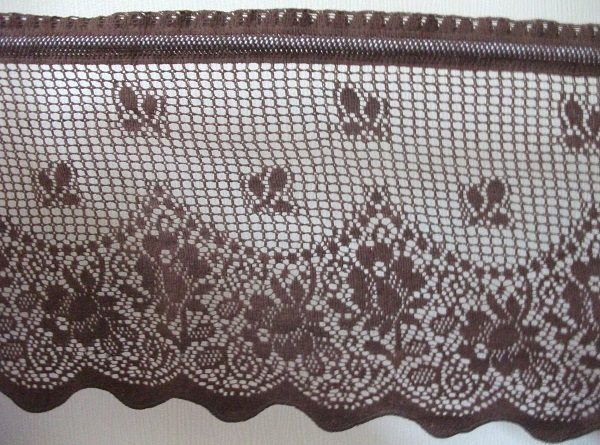 A very rich chocolate colour adds a touch of uniqueness to this lovely vintage Nottingham cotton lace cafe curtain. 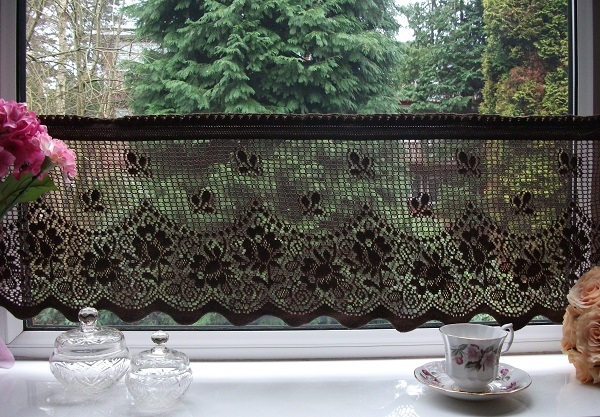 The design incorporates roses and sprigs of leaves upon an open background of square mesh. 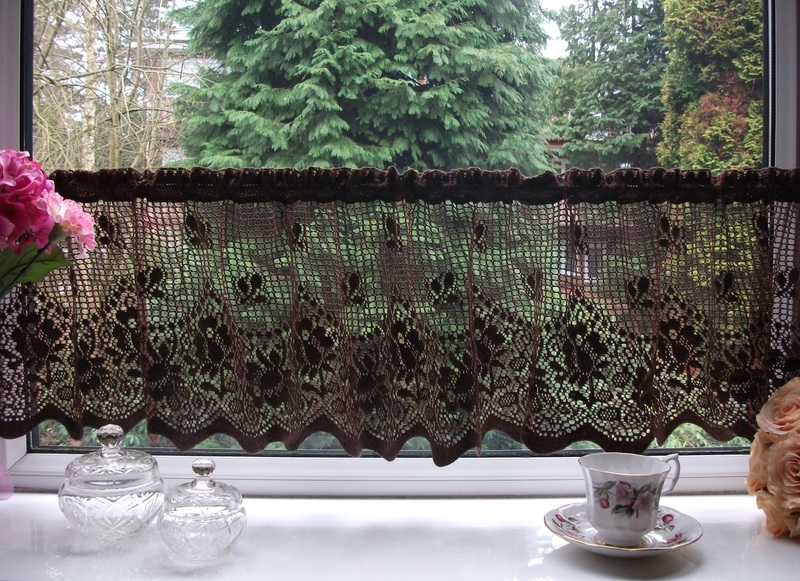 Two drop lengths of this curtain are available, 12" (30cm)and 20" (51cm), the pattern has been scaled to fit the dimensions making it perfect for use as a cafe curtain in the home or for commercial use. Fibre : Cotton. Colour available : Chocolate. Gentle hand wash 40oC.